THE COUNTRY LIFE: When, in the mid-1920s, R. J. Mebane from Greensboro and W E Sharpe from Burlington conceived an upscale development organized around a golf course and country club, they created one of America's earliest proto- types for a suburban commuter development that depended entirely upon the auto- mobile. Inspired by the local economic boom created by the tobacco and textile industries and the prospect of a new Duke University, the two entrepreneurs bought up farm and dairy land which had been worked by homesteaders since the early 19th century. In February 1926, they formed Mebane & Sharp, Inc., a non-stock, non- profit, entity that would create the new Hope Valley suburb, now Old Hope Valley. The new neighborhood was designed to be a gracious community removed from city congestion and pollution, which would include modern conveniences such as under- ground water and sewer mains, electricity, two paved main thoroughfares, architect- designed homes, a professional golf course, and a country club destined to become the hub of social life for the new community and for greater Durham. Other recreational amenities such as horseback riding, golfing, swimming, tennis and even hunt- ing were also advertised as health-giving activities one would be able to find in this ideal and stylish neighborhood. Because of these features and the distance from the city center, residents of the new development were promised not only a healthier lifestyle but even greater longevity. The United States' involvement in the Great War had opened the American pop- ulation at large to an awareness of things European. The decade after World War I ended also saw the automobile, airplane, the radio and movies become commonplace, particularly in the United States. Different people reacted differently to these events and architecture did as well. Some architects wanted to find entirely new solutions appropriate to the modern industrial way of life which was fast changing the shapes of our cities and our lifestyles. They wanted this new modernism to be reflected in our buildings without reference to the past. Others found it even more important to retain, or recover, certain aspects of the past. The Arts and Crafts Movement, which became the collective name of this "movement" in England, began in the 1880s. It sought to regain from the past meaningful pre-industrial values in work and at home. Names such as John Ruskin, William Morris, and later, Edwin Lutyens, and C.E A. Voysey are among the designers and architects working in this vein whose names one might recognize. While Lutyens and Voysey sought to discover a true English archi- tecture, the starting point for their vocabulary had late medieval and Tudor roots. At the turn-of-the-century in England, the Garden City Movement began to take shape under the aegis of Robert Parker and Raymond Unwin. Unwin had attended Ruskin's lectures at Oxford and was inspired by Morris. Parker had an Art & Crafts training in architecture. In the United States after WWI, many residential architects who preferred to work in a traditional way also looked to the late medieval and Tudor homes of our recent English allies for design ideas and a wholesome sense of place. Throughout the twenties and early thirties, Tudor style homes became the fashion. Society architects like John Russell Pope, Marcus Burrowes, and the Geo. B. Post & Sons firm of New York designed great manors for their wealthy clients. So popular was the style with the American upper and upper-middle classes, that it became known as "Stockbroker Tudor." The Tudor Revival style was not reserved exclusively for the rich, however. More modest designs were featured in ladies magazines and Tudor cottages could be bought ready-to-build from the Sears Catalog. 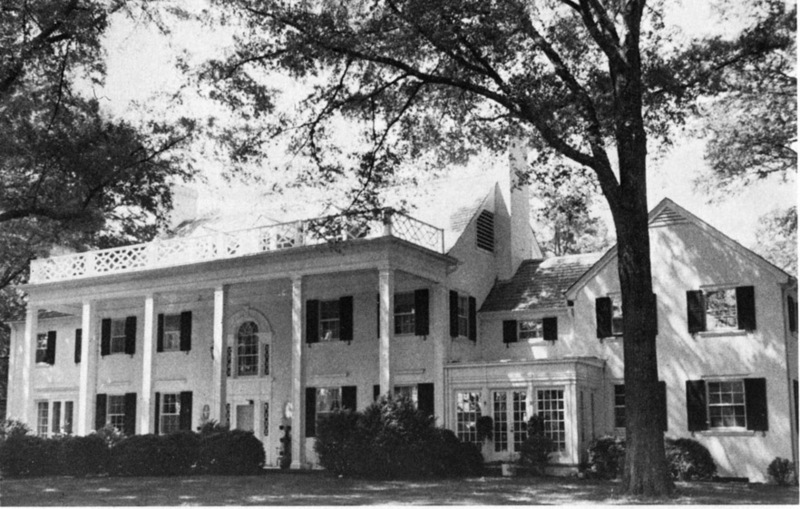 To attract people to Hope Valley and to set the desired tone and standard for the homes there, Mebane and Sharpe hired Durham's foremost residential architect, George Watts Carr, to design a handful of moderately sized, but ricWy detailed homes in the Tudor Revival and English Cottage styles. The developers desired to imbue their new neighborhood with an "Old English" feeling in keeping with the country lifestyle of England's leisured classes. However, it is important to note that alongside the assertion of tradition- al style, was the rapidly moving modernization which the very people who would buy these homes also desired. In the newspapers of this period along with the advertisements for Hope Valley, one can see a large number of advertisements for automobiles of all kinds that one might buy for Christmas to go with the new house. Advertisements for radios and dishwashers accompany those for roofing in the latest technology. All of this is juxtaposed with ads for authentic-looking false "thatched" roofs. Hope Valley was platted in July of 1926 in nine sections. The only street names assIgned at that tlme were Devon and Dover. Originally, streets were designated as "Trails;" Windsor was "Trail One," Dover was "Trail Three," Chelsea was "Trail Eight," Rugby was "Trail Twelve;" and so on, At Christmas time 1926, a competition was announced in the Durham Morning Herald inviting Durham residents to suggest fetching names for Hope Valley's "Curving Boulevards and Woodland Drives." Five dollars in gold was offered as a prize for each winning street name; ten dollars (also in gold) for names selected for main drives. With English cottage-style homes abuilding and Devon and Dover as street names to set the tone, the outcome of the competition was less than surprising. No doubt the winning names were selected because it was perceived they would help sell lots to the public, but the contest also enabled Mebane and Sharpe to identify what kind of things appealed to their market. Local shops originally conceived as part of the project were never built, but the prestigious 18-hole golf course laid out by Donald Ross and a clubhouse designed by renowned New York City architect Aymar Embury- -famous for his clubhouses-promised to be big draws. R. R. Griedland was the landscape architect in charge of laying out the grounds for the entire development. The major expansion of Trinity College into Duke University provided Hope Valley with a ready market which the developers pursued. 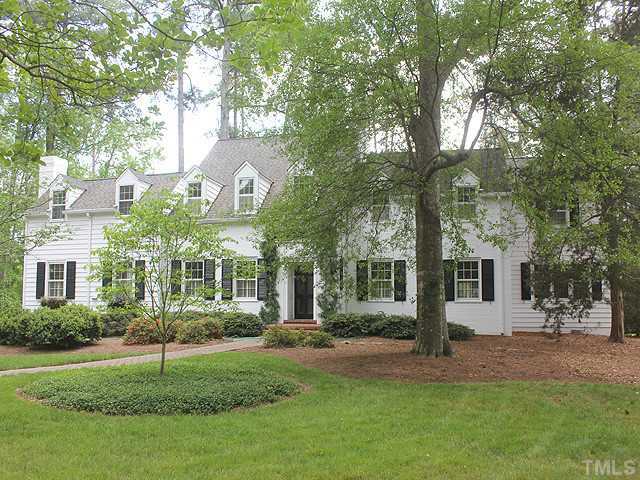 Nearly all of the neighborhood's first homes were purchased by Duke professors. Forrning the nucleus of the development were the ten or so George Watts Carr- designed, English style homes ordered by the developers. Built between 1927 and 1929, they were set in large landscaped grounds on winding streets in strategic loca- tions throughout the neighborhood. Among these early homes were the Branscomb, Gross, and Pearlzweig houses, all of which are on the tour. By 1929, Mebane & Sharpe, Inc. had brought in new partners and reorganized under a new name, becom- ing Hope Valley, Inc. A second wave of houses was built in the early 1930s through the efforts of Hope Valley, Inc. These included the Hubert Teer, D. T. Smith, and Orgain houses, which are also on today's tour. These houses were designed by George Watts Carr, but not in the Tudor or English Cottage styles. By the mid-thirties, the English fashion in residential architecture had begun to wane. The Great Depression diverted the country's attention to things American, and John D. Rockefeller, Jr.'s restoration of Colonial Williamsburg rekindled a keen interest in America's colonial past. The Teer and Orgain houses clearly demonstrate this shift in taste. The Smith House also reflects a departure from Hope Valley's original English country theme. Its Spanish Eclectic style offers a bit of delightful whimsy to the neighborhood. There were significant and far-reaching differences between the English Garden Suburb and the upscale development envisioned by Mebane & Sharpe. Unlike its English counterpart, Hope Valley was organized around a golf course and country club built on reclaimed farm and dairy land well beyond city infrastructure. It was, therefore, one of Durham's-and America's-earliest examples of the automobile sub- urb. As such, it was an unwitting accomplice in what has become the saga of subur- ban sprawl. But more importantly, it was also a testament to the far-reaching vision of Mr. Mebane and Mr. Sharpe, who foresaw the expansion that would almost certainly take place in the "the Triangle" (called this already in 1926 newspapers!) due to the three universities located here. It is to their credit that they understood that it takes more than houses to build a successful community and so they built into their development the roads, sewer, water, and ameni- ties necessary for a nascent community. Hope Valley is a lasting testament to the optimism of Durham residents of the post WWI generatIon. In 1932, construction magnate and decorated war hero Hubert Teer had this mansion built in Durham's new country club subdivision. Here Teer and his wife Mary raised their family. Following Mr. Teer's death in 1969, his daughter, Mary Teer Barringer returned with her husband Russell, where they, in turn, raised their family. The home of their son Stephen is also on today's tour (the Pearlzweig House). The Hubert Teer House has become something of a Hope Valley, if not a Durham, landmark. It was designed by Durham architect George Watts Carr and built by contractor George W Kane, also of Durham. The house looks more like an 18th century plantation home than the modest "spec houses" Mebane and Sharpe built just around the corner and across the golf course. Interestingly, the versatile Carr designed those houses too. Although the house represents a break from the old English theme the developers originally envisioned for their new subdivision, the size of the house and its com- manding presence clearly demonstrated that Hope Valley had become the affiuent neighborhood they had hoped to create. 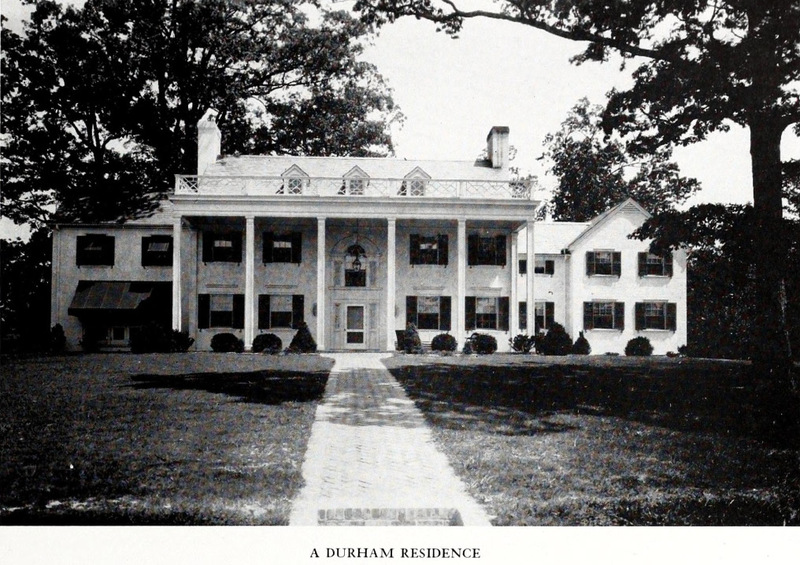 It was among the first houses in Durham to show the influence which John D. Rockefeller, Jr.'s restoration of Colonial Williamsburg had on American residential design. Rockefeller's interest in Williamsburg began in the mid-1920s. By 1932 his interest had become a passion and he was pour- ing money into the painstaking reconstruction of the colonial town. The proj ect fired the imagination of architects all over the country. 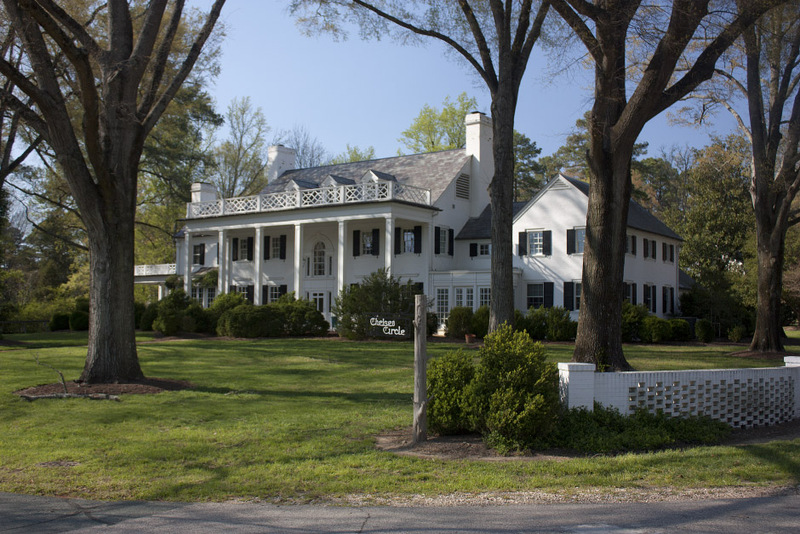 Soon, designs for Colonial Revival homes based upon Virginia originals filled ladies' magazines. Unlike earlier manifestations of the Colonial Revival style in America, this new expression emphasized authenticity, symmetry and dignity. The Teer House shows the strong influence of George Washington's Virginia house at Mount Vernon. 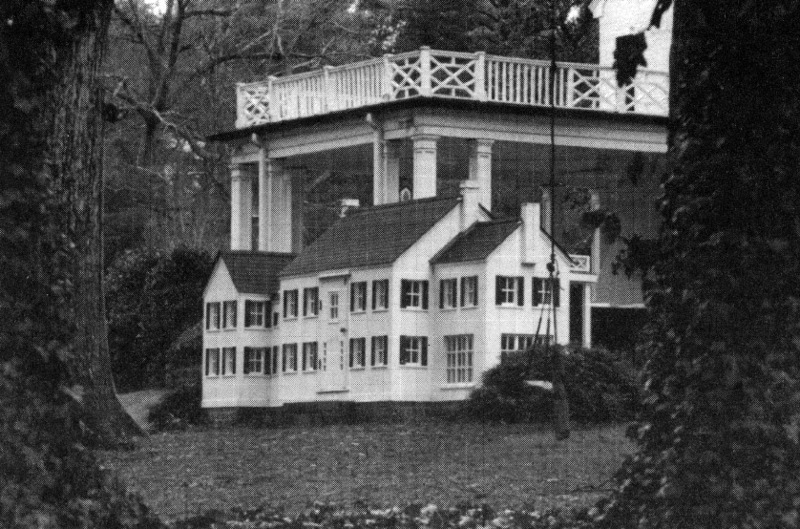 The founding father's home was so popular and so deeply rooted in the American imagination that two replica ready-to-assemble kit versions of Mount Vernon were included in the 1931 Sears Roebuck and Co. catalog. The Teer House has a full height, full-facade, classical porch dominated by a colonnade of six box columns. The porch covering the colonnade is formed from a shed extension from the side-gabled roof. The fine Chinese-Chippendale balustrade above the porch is a direct link to the home's 18th century antecedents. Notice too, the single-story side extension to the left (west) of the main house. This has a roofline balustrade which ties it stylistically to the house, covering an outdoor living room with fireplace. Added just three years ago by the Barringers, this space was originally a patio/barbeque area. One-story wings sometimes existed in the Georgian proto- type for this house, but they would have been additions also. The copper-roofed bay window, which can be seen on the west side of the entry door, was also added during the recent remodelling. To the right, another extension comprising the kitchen and ancillary rooms were part of the original design. The single-level breakfast room located immediately to the east of the front porch was added by the Teers after the original building was completed but was recently updated and renovated by the Barringers. Behind this addition, a side gabled extension ends in a front-gabled return, yielding an overall appearance of a tightly clustered group of outbuildings on a plantation property. Such clusterings of buildings give the property a sense of having been built over time. The Teer House exhibits other details that are typical of Colonial or Classical Revival architecture: a decorative Georgian-style main entry, that is, a door with side- lights and a horizontal over-door, elaborately carved, but without fanlight. Over this, at the tipper story, is a classical tripartite Palladian-style window. The remaining upper-story windows on this facade are symmetrically arranged following classical tradition with a set of two on either side of the center of the house. They are double-hung sash windows with three-over-three panes in each sash, a pattern not typical for authentic Georgian residences (six over nine for an upper story), but consistent with 20th century neo-colonial practices. Since 1969 Mrs. Barringer has, naturally, redecorated most of the interior of the house, with the exception of the main foyer and stairs. In addition to the Chippendale iron baluster rail, the original scenic Zuber wallpaper imported from France is still there. Mrs. Barringer has fond memories of her mother hanging this paper when the house was new. Structurally, little has changed about the house but some improve- ments were made a few years ago. A new kitchen, breakfast room and sitting room were created according to the designs of Dan Addison whose home (the Hussey House) you may also see on this tour.The breakfast room had been enclosed depriving the interior of light. As with the Addison's house, walls were removed to integrate the spaces and bring sunlight to the interior. An informal sitting room was created adjoining the kitchen. On the opposing side of this wing (north) facing onto the private garden area, an enviable butler's pantry was created out of an unused space. On the second floor landing a second guest bedroom was created out of a former ser- vant's room which had been accessible only from a back stairway. The two guest bed- rooms are linked by a bathroom shared between them, a device commonly seen in Edwardian homes in England when internal plumbing was the new big rage and dressing rooms were converted to their new modern purpose. An elegant wood-panelled study with adjoining dressing room was created for Mr. Barringer out of a child's bedroom. The famous dollhouse replica of the Teer house was a gift to Mary-who did not care for dolls much-on her fifth birthday. Having arrived at Duke in 1925, Professor Harvie Branscomb and his wife, Margaret, bought this delightful and richly-detailed Tudor Revival house on Chelsea Circle two years later. The Mebane & Sharpe Company had built the house as one of a handful of "seed" houses intended to attract people to the new development; the Branscomb House is one of the very first built and occupied in Hope Valley. While at Duke, Dr. Branscomb served briefly as Director of Libraries and ultimately as Dean of the Divinity School. He left Duke in 1946 to become Chancellor of Vanderbilt University, where he served until 1963. In his retirement as Chancellor Emeritus, Branscomb continued to distinguish himself as a major figure on the national and international education scene until his death in 1998 at the age of 103. Noted Durham architect George Watts Carr designed the house, and although it has been enlarged several times during its 75-year history, the essence of the house that Carr originally conceived has survived intact. Before entering the house, examine its exterior, which possesses the defining features of the Tudor Revival style. The steep, irregular roof, massive molded chimney, gerkin-headed gables, and asymmetrical plan are all meant to suggest the randomness of medieval buildings. Notice the random way the masons laid the brick. This, too, is intended to give the house an antique appearance. Approaching the front entrance, note the three dormer gables. While two are clad in clapboard, the one over the door is nogged with brick in a herringbone pattern. Examine the eave detail and you may see the cedar shakes of the original roof peeking out from beneath the modern shingles. The entry porch covering the front door is supported by carved beams roughly·cut to give the appearance of being hand-hewn. Once inside, observe the layout of the original portion of the house, as its footprint is similar to that of the D. T. Smith House which is also on the tour. On the right is a small study, a relatively new feature in American residential design. 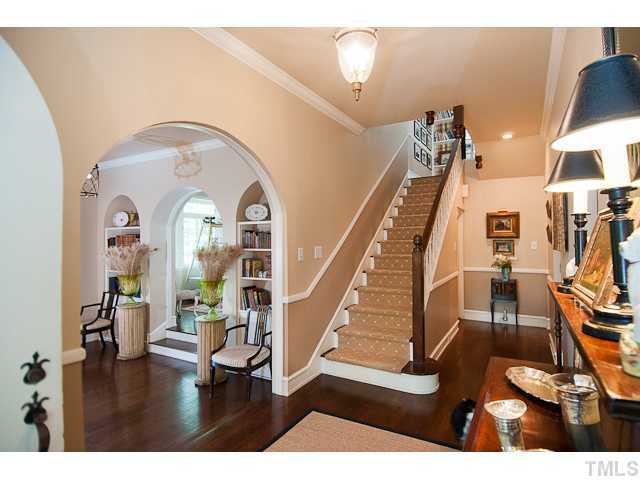 On the left, a broad archway invites you down into a sunken living room. Passing beneath the arch, notice the absence of molding. Originally, the house had very little in the way of molded woodwork. The interior doors are not paneled, but made up of vertical boards in medieval fashion. The living room itself is spacious and well lit by the original casement windows-another feature of the Tudor revival style. Above your head are more rough-carved beams. At the end of the living room, another arch invites you into an ample dining room with a bright bay window. You now leave the original structure and enter new spaces thoughtfully added to the house. An exterior porch is now a den with a new, dry-laid fireplace. The small original kitchen has been enlarged and appointed with gleaming granite and stainless steel appliances. The original two-bay garage became a new master bedroom and a new garage contained within an addi- tion is so carefully joined to the house that it is almost unnoticeable from the street. The present owners, Lynn and Jerome Anderson, insisted that the new brickwork match the masonry of the original house and that the new garage doors mimic the swing-out originals, with iron strapwork and false handles. The second floor originally contained four bedrooms and two baths. Over time, however, successive owners have considerably remodeled these spaces to accommo- date modern living. Still apparent, though, are the deep-set casement windows with- in solid masonry walls, the slanted three-quarter ceilings, and the Jacobean bun- shaped finials on the stair newels. Unexpectedly, the stair continues beyond the sec- ond story to a tiny maid's apartment in the attic. The bedroom and bath here are still very much in their original condition. Notice the twenties era sand-finished plaster walls that used to be found throughout the house. Also of note are the five-paneled doors, commonly found in bungalows of the period, which were reserved for the ser- vant's area of the house. The Branscomb house is an important artifact in Durham's architectural and urban history. We are fortunate that the house has always been in the hands of own- ers sensitive to its historical significance and Tudor Revival style. A listing for this address first appears in the Durham city directory in 1957 under the name of Mr. Herbert Hussey. Surprisingly, no house had been built on this plot of land by 1956, so Mr. Hussey and his wife acquired this sizable piece of property with an exquisite view overlooking the golf course relatively late in the community's development. It may be surprising that such a modest house was built on this site. More stun- ning is that in distinct contrast with the Mebane & Sharpe "spec homes" built twenty years earlier, the Hussey house was purchased from the National Homes Corporation of Illinois, a company which sold pre-fabricated ready-to-assemble homes. A small black-enamelled plaque in the furnace room testifies to such origins. The Ranch style which originated in California in the mid-1930s became one of the most popular suburban residential architectural styles in the United States by the mid-1950s. When built in the eastern part of the country, the style was often fin- ished with English-colonial exterior details rather than Spanish treatments popular in the west. However, the scale was changed to fit a one-story structure. Designed to house the booming post-World War II generation and their young, growing families, the Ranch-style house continued to be used extensively by developers in housing tracts until the mid-1970s. They ranged from the very modest to the grandest degree of style and elegance. They made lavish use of land to maximize floor space, facade, and view. Owners of ranch houses were dependent on the automobile because they were built beyond the city limits in new developments. Thus, the ranch style was an appropriate choice for the Hussey parcel since the automobile had already been envisioned as a necessity in Hope Valley. In addition, the Hussey plot overlooked the Donald Ross golf course off a beautiful winding lane. The north/south wing of the home possesses many features usually associated with Ranch-style homes. It has a low-pitched cross-gable roof, medium to large unboxed eaves (a trait picked up from Craftsmen homes), large picture windows to frame the view and ribbon windows for private spaces. This home was clad with wood, but many ranches of its day were finished in brick, stone, or some combina- tion of all three. Mr. Hussey and his wife appear to have chosen the latest in style when building their Hope Valley home. Unfortunately, the Hussey House did not live up to the promise envisioned for ranch style living and ignored its idyllic setting. The uninviting front door was locat-ed down a narrow corridor between the garage and house. The halls were unusually narrow and its ceilings, while high, were flat and nondescript. A windowless kitchen was landlocked in the center of the house and the main living area did not incorpo- rate any of the property's stunning views. The almost total lack of any redeeming fea- tures for this house recalls the worst of post-World War II residential architecture. This is not the inspired architecture of a Joseph Eichler home nor one of the sensitive ren- ditions of the all-American dream home created by Sears Roebuck & Co. between 1909-1935. One might well ask why has this home been included on the Hope Valley tour. It is not the original design of the house which makes this property notable, but its sensitive yet thorough remodelling which makes this home appropriate for the tour. It is hard to imagine a greater transformation of a home than that wrought by Dan Addison, a veteran interior designer, and his wife, Roberta, who purchased the home only six years ago. The metamorphosis was not achieved by enormous structural changes but by creative, incremental steps and pure decorating talent. 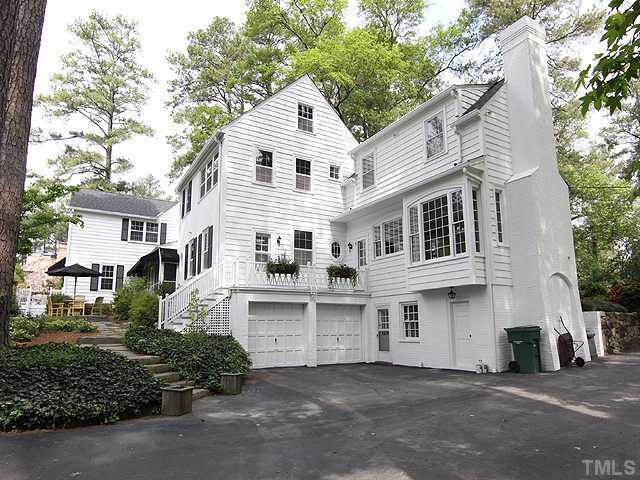 The Addisons reversed the home's original orientation by moving the main entrance to a promi- nent position streetside and by relocating the back door to a more appropriate place near the garage. A raised pergola roof was added over the main entrance as a focal point to give the newly created foyer height and scale. Through the front door one enters the gracious living room, breathtaking in its unexpected elegance. Two walls were removed from the former den to create one large space ample enough for mod- ern entertaining. The fireplace was moved from the far northwest corner of the room to a position now centered on the north wall opposite the front door. To your right you will pass the kitchen, now open to the rest of the house. The dining room, which overlooks the north side of the grounds, leads one into a new sitting room. The Addisons also added width to their home by capturing space underneath the large eaves and incorporating it into the structure as interior corridors. Photographs dis- played on the tour will clarify this technique. The first of these corridors runs along the north/south wing on the west side of the home and gives access to the master bedroom and study. The second connecting the garage to the house feels more like a conservatory space, as it is well-lit and overlooks a small garden. The converted garage is now a guest suite and adjoining home office. Throughout the house win- dows were relocated, architectural details such as muntins, shutters and pilasters were added, and inspired interior design has created genuinely gracious living spaces. It is a testament to the vision of Dan Addison that beneath the facade of an otherwise uninspired ranch house, he could envision the making of a truly remarkable home. It is a talent found in the best historic preservationists. This charming little house is like no other in Hope Valley and, architecturally speaking, it is one of the most significant houses in Durham. What makes it so special, of course, is its high-style Spanish Eclectic design. For a residential design usually associated more closely with the southwest and Florida then the upper south, Durham has a small, respectable collection of Spanish eclectic houses. Of these, however, few are as interesting as the D. T. Smith House. Before World War I, American houses displaying Spanish influences were mostly in the Mission style. These houses are distinguished by their signature curvilinear, Alamo-like, gable parapets. In Durham, the foremost example of the Mission style is Hill House, the home of John Sprunt Hill on South Duke Street. After the war, residential architects began to experiment with a range of home designs drawing much more heavily on actual Spanish and Mediterranean precedents. The movement towards greater historical accuracy in Spanish-influenced architecture was signifi- cantly stimulated by the 1915 Panama-California Exposition in San Diego.The event received considerable attention nationally and, as a result, things Spanish became the fashion. Throughout the 1920s and '30s, architects responded to popular demand with house designs ranging from modest bungalows to the Palm Beach mansions designed by Adison Mizner. Defining features of the Spanish Eclectic are low-pitched tiled roofs, stuccoed walls, casement windows, heavy doors surrounded with stone or tile, triple-arched focal windows, and balconies decorated with turned wooden balusters. Where space 25 allowed, Spanish Eclectic designers joined courtyards or semi-enclosed patios to their houses. Wing walls, sometimes containing garden doors, are also common exterior features. The D. T. Smith House was designed by Durham architect, George Watts Carr. Whether the design was one chosen by Hope Valley's developers, Mebane and Sharpe, or by Dr. and Mrs. Smith is unclear from the record. The Smiths bought the property in 1932, but the house may have been built earlier. All of the principal design elements of the Spanish Eclectic are present in the house. As you approach the front entry, notice the tile roof and stuccoed walls. The recessed front door is surrounded by slate. To your left is a curved wing wall. On the wing to your right, note the triple-arched focal window giving light to the large living room inside. The case- ment windows are set in thick, solid masonry walls. The iron grills at the windows are not original, but are in keeping with the Spanish Eclectic style. The interior plan of the house is very similar to the Tudor Revival style Branscomb House, also designed by George Watts Carr. Immediately to your left as you enter is a small study. On the right is a sunken living room running the original width of the house. Spanish decorative features on the interior include the molded beams on the ceiling and the tile floors. Unfortunately, the original mantelpiece in the living room appears to have been removed by a previous owner. At the rear of the hall is the dining room. The tray ceiling here is not original, but the plaster cove where the wall and ceiling join may be. The large bay window supplies soft northern light all day long. Semi-domed wall niches provide formal display spaces. A butler's pantry once joined the dining room to the small original kitchen. The pantry was sacrificed to enlarge the kitchen sometime ago, but its cabinetry has survived. Upstairs, you will find a large master bedroom with its own small fireplace and three smaller bedrooms. Running along the back of the house is what was once an open Spanish-style balcony with fancy turned posts and balusters. Today it is an enclosed sitting area with what must be the finest view in Hope Valley. Below the house is a full basement containing a large comfortable den, a bed- room and a full bath as well. These spaces appear to be modern additions. The elaborate faux finishes on the woodwork were applied in the 1980s. Successive owners have added an enclosed patio and fountain to the terraced back lawn. The current owners, Douglas and Barbara DeBank, added the pergola to support climbing 'Lady Banks' roses, a floral pun on their name and an architectural modification wholly appropriate to the style of the house. Because it so adds to the architectural richness of the neighborhood, the Smith House has always been a Hope Valley favorite. In 1937 Duke economist Herbert von Beckerath and his wife, Guelda, bought two Devon Road lots. George Watts Carr designed a small, but elegantly appointed Colonial Revival design. Duke cardiologist, Dr. Edward Orgain and his family loved this fine Colonial Revival style house and purchased it in 1944 - calling it home for more than 50 years. From the Preservation Durham 2002 home tour booklet. Duke cardiologist, Dr. Edward Orgain and his family loved this fine Colonial Revival style house and called it home for more than 50 years. The Orgains did not build it, however, nor did they seek it out. It fell into their hands through the fortunes of war. In 1937 Duke economist Herbert von Beckerath and his wife, Guelda, bought two Devon Road lots. As the country emerged from the Great Depression, Hope Valley lot sales started to pick up again and a new wave of building began. The Beckeraths asked George Watts Carr, Durham's gifted residential architect, to design their new home. Carr responded with a small, but elegantly appointed Colonial Revival design. His plans have survived and will be on display during the tour. The house was completed in 1938, but the Beckeraths did not live there long. In 1940, they sold it to a Jonathan McConnell and, if the Beckeraths' residency was brief, McConnell's was briefer still. War clouds were spreading from Europe and Asia to the United States and McConnell was called into service. As he left, however, he leased the house to young Dr. Orgain and his wife Anne. The Orgains soon fell in love with the house. They hoped to buy it even though McConnell had announced his intention to return. Intuition told them, however, that if they were patient, McConnell's plans would change. They were right. In June 1944,just before D-Day, McConnell sold them the house. As you approach the house, take a moment to look at the front. The asymmetrical arrangement of the central block and the gable-ended wings date the Orgain House to the late 1930s. During the 1920s and early '30s, Colonial Revival houses tended to be arranged symmetrically to create a feeling of formality. After the Depression, however, Americans wanted a more relaxed lifestyle and less formal colonial designs gained popular favor. Originally, the house was composed of just the central block and the gabled wings to the east and west. The Orgains added the wing to the rear around 1949-50 and the current owners, John and Naeda Irick, recently replaced and enlarged the east wing. Each addition was so sensitively executed that the new elements blend searnlessly with the original house. The front door opens into a stair hall that runs the full depth of the house. 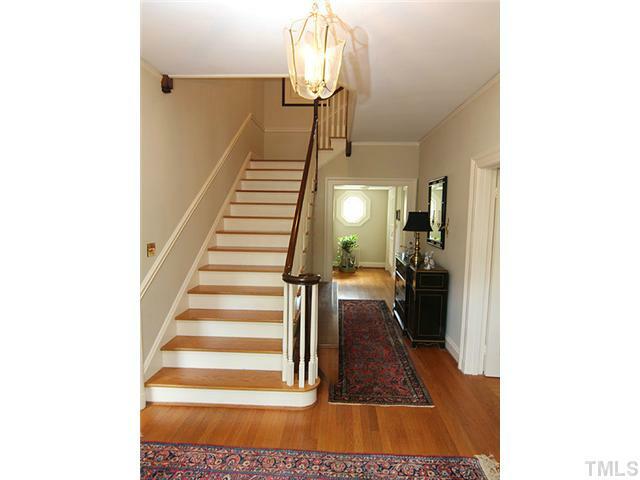 The stair itself is ornamented with a graceful colonial rail and balusters. Note the curved opening in the second floor. Before you leave the hall, note the other colonial details that enrich the interior design. Narrow double doors divide the public spaces in the house. The door mechanisms are not inset, but mounted in brass boxes in an authentic eighteenth century pattern. Off the hall to the right is a spacious living room lit by windows on the front and rear of the house. The principal decorative feature in the room is the mantel wall. The panels picked out by applied molding are original. The mantel itself is in the Adam style. Its identifying features are the reeded panels and the raised swag decoration reminiscent of jasperware vases. Behind the living room is a comfortable porch enclosed by an arcade with shallow arches and slender posts. Beyond the living room is a less formal living area which Dr. Orgain called the "big living room." It fills the entire lower level of the wing the Orgains added to the house in 1949-50. It is finished with vertical fir paneling which has darkened to a rich color with age. The Iricks replaced the original steel casement windows with wooden sash windows and mouldings to match the rest of the house. They also added the doors at the end of the room to join it with the yard. The new shallow arch also serves to better tie the old addition with the original house. Off the hall to the left of the entry is the original dining room and beyond that is a new kitchen. The original kitchen and butler's pantry were too tiny to adapt for modern living, so the Iricks took the whole wing down to the foundation, lengthened it by eight feet, and rebuilt it. Although the kitchen area is modern, the Iricks and their architect, Steve Gaddis, were extremely careful to respect the Colonial Revival feel and scale of Carr's original plan. Inside, they added a simplified Adam style mantelpiece and incorporated the shallow arch of the original porch arcade in the windows overlooking the back yard. On the outside, the Iricks removed recently-installed vinyl siding from the entire house and restored the wood siding. Because wide clapboards are no longer commercially available, the lricks had to have matching claps milled to cover the new construction. The result is a necessary and sensitive addition worthy of Carr's design. Originally, the upstairs held a bath, a study, and two bedrooms, one of which was the master. When they enlarged the house in 1949-50, the Orgains cut a corridor through the old master bedroom to the new master suite. The Iricks modified this space only to make it more closely match the original house. They replaced the louvered doors with six panel doors and augmented the window moldings. Be sure to peek in the colorful master bath. The tile, tub, sink, fixtures, and unusual shower door are all original. In the study, the torus-molded lapjoints in the vertical pine paneling make the boards resemble roof tiles. The playhouse in the yard belonged to Anne [Lewis] Orgain and originally stood in the garden of her parents' home [at 418 South Duke Street]. It was moved to its present site when the Orgains bought the property. Beautifully designed and sensitively enlarged by loving owners during its sixty-five year history, the Orgain House has retained all of its original charm and continues to tell its part of the Hope Valley story. In 1930, Dr. Paul M. Gross was a relatively new chemistry professor at Duke when he and his wife, Gladys, moved from Trinity Park to Hope Valley. Their new house, in the English Cottage style, was designed by George Watts Carr, as one of the original "seed" houses commissioned by Hope Valley's developers, the Mebane & Sharpe Company. In 1930, Dr. Paul M. Gross was a relatively new chemistry professor at Duke when he and his wife, Gladys, moved from Trinity Park to Hope Valley. Their new house, in the English Cottage style, was designed by George Watts Carr, as one of the original "seed" houses commissioned by Hope Valley's developers, the Mebane & Sharpe Company. In ordering a house with a distinctly English feel, Mebane and Sharpe hoped to exploit the latest fashion in home design and set the tone for future con- struction in the subdivision. While most of the original Hope Valley houses were built in the Tudor Revival style, the developers also built a couple of homes in the closely related English Cottage style. The Gross House is one of them. Both the Tudor and Cottage styles look to English vernacular buildings for inspiration. But where Tudor designs draw upon medieval precedents, English Cottage style houses are influenced by the work of contemporary English architects such as Edwin Lutyens, C.F.A.Voysey and M. H. Ballie-Scott. These men sought to weave traditional forms into a new English style. English Cottage style houses in America possess the essential line and massing of the British originals. Unlike their Tudor Revival cousins, Cottage style houses have no half-timbering, herringbone brickwork, or perpendicular gothic arches. Instead of abundant detail, decoration is kept to a minimum, and materials are used in a straight- forward manner. Simple I-plan and gable-and-wing plan designs are typical. In keeping with cottage proportions, English Cottage style houses are often one-and-one- half or one-and-three-quarter stories in height. Siding materials include undecorated brick laid in ordinary bonds, wide clapboards mitered at the corners, and shingles. Strong roof lines are often the dominant feature of Cottage style houses. 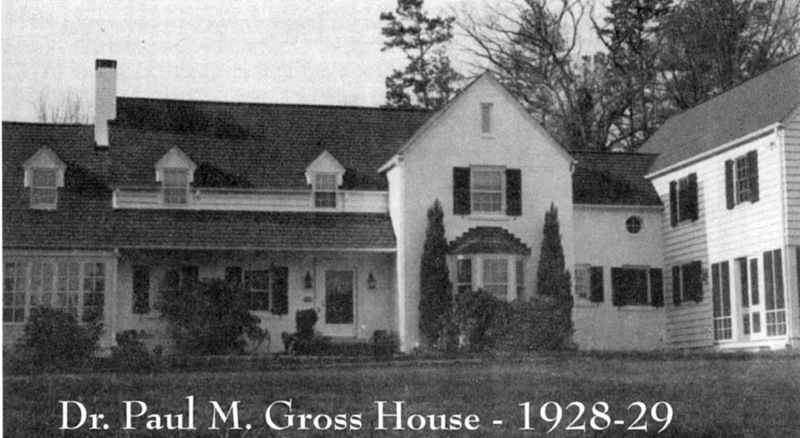 Originally, the Gross House was a modest three bedroom home arranged in a 33 gable-and-wing design. The brick lower and clapboard upper siding combination is typical of the English Cottage style. On the front of the house, the separation between the two floors is accentuated by the pent or visor roof. A new wing recently added to the north side of the house also displays strong Cottage style design elements with a hint of the Elizabethan in its massing and proportions. The addition is so sensitively joined to the house that its original plan is still plainly visible. As you tour the interior of the house, pay attention to the function and arrangement of the original rooms. The plan of the Pearlzweig House is very similar. The front entry leads into a stair hall. The interior decoration is in a simple American Colonial style. The doors are of the six-panel colonial type which was relatively new in the late twenties. The stair rail is supported by a delicately turned newel and spin- dles. Off the hall to the right is a spacious living room filling the width of the wing. It was recently expanded by enlarging the house to the rear. At the south end of the room is an ornamental fireplace with a Georgian mantelpiece. Beyond, to the left of the mantel, is a porch, once screened, but now enclosed. To the right of the mantel is a study with its own small fireplace. As in most old Hope Valley homes, the original kitchen space was too small to accommodate modern living. The current owners, Anne and Tom Niemann, have replaced it with a new kitchen boasting green gran- ite counter tops and cherry cabinets decorated with Chinese-Chippendale fretwork at the cornice. At the top of the stairs in the original part of the house was once a closet or trunk room with a window. This room has now been opened up providing extra light and space. The master bedroom is unusual in its asymmetrical ceiling. Towards the east, the ceiling is slanted because the house presents a one-and-three-quarter story facade to the street in keeping with its cottage style. Beyond the master bedroom, in the attic over the study below, is a finished room whose original purpose is not immediately clear. Could it have been intended to serve as a dressing room? A sitting area? A sewing room? In the front gable are two smaller bedrooms. In each, the short walls are joined to the ceiling by delightful curved plaster work accommodating the pitch of the gable roof. 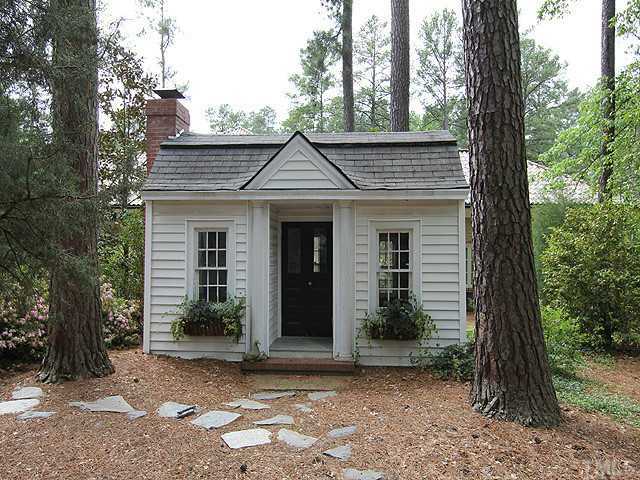 When the Niemanns acquired the property, it consisted of an important, but relatively tiny house in one of the most desirable locations in Durham. In market terms, the generous lot was seriously "under-housed." Where others might have glommed an unsympathetic addition on the front of the house or, even worse, demolished it to start over, the Niemanns appreciated what they had and set about to preserve it. They significantly enlarged the house in a way that did no violence to the original house. The new wing contains living space for their children including two large bedrooms and a separate stair. 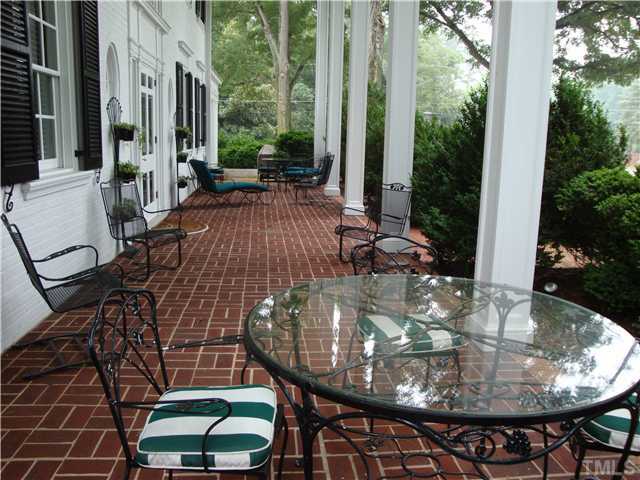 On the ground level is a large screened-in porch overlooking the spacious lawn. To design the addition, the Niemanns selected local architect Jane McGarry. L. E. Meyers was their contractor. Together, the Niemanns, their architect and their contractor deserve much credit for their careful stewardship of this important Durham landmark. Hopefully they paid the architect and contractor. Somehow, Niemann has managed to retain ownership of this house while dodging unpaid creditors over the course of the latter 2000s and early 2010s. People's salaries have gone unpaid while he continued to live by the tennis courts in "stewardship" of his mansion. Blech. It is believed by Hope Valley residents that this is one of the original Mebane and Sharpe "spec houses" and that it was designed by George Watts Carr, architect for the original seven spec homes built between 1927 and 1929. According to city records, however, this house was built in 1930, and William Pearlzweig and his wife were not associated with this property until March 1931. It is believed by Hope Valley residents that this is one of the original Mebane and Sharpe "spec houses" and that it was designed by George Watts Carr, architect for the original seven spec homes built between 1927 and 1929. According to city records, however, this house was built in 1930, and William Pearlzweig and his wife were not associated with this property until March 1931. They probably purchased the parcel from a Mr. Lickle, who, records show, bought it approximately two-and-a- half years before the Pearlzweigs. If Lickle was the owner responsible for the construction of this house, he did not live in it very long. If it was not built until 1930, then the house is not one of the original spec homes, but one of the first generation houses built in Hope Valley after it began to emerge as a community in its own right and distinguishable from Mebane and Sharpe. The architecture of this house supports this view because it has some characteristics which distinguish it from the original spec houses. For instance, the house is clad in wood, not roughcast, there are no stone facings or knobbed stones, but trim and architrave, and the overall massing of the forms that make up this building have a different emphasis. This house was probably designed by George Watts Carr. Like many of his "spec" designs, this house utilizes English revival domestic architecture like that of Edwin Lutyens and C.F. A. Voysey who sought an authentic English architecture which reflected a late medieval or Tudor spirit. C.F. A. Voysey's work was particularly influ- ential in England between 1895-1910, and subsequently on the Continent. It was Voysey who was largely responsible for breaking the hold that classical architectural forms held over English patrons, and who brought us the English lodge, or cottage, style. While Voysey's buildings were typically roughcast with stone facings and iron casement windows, they often included a variation on a hipped roof with a cross gable or cross gables at each end over a rectangular form. There was frequently a shed roof at one end as there is here, which slopes from two or three levels down to one. His designs were often punctuated with porches, verandas, bays and dormers, all of which we can see here. Although Voysey's buildings were usually on a scale much larger than the Pearlzweig House, the resemblance is more than passing. Voysey's buildings were intended to be suburban homes-comfortable, detached, medium-sized. The detached garage with steeply pitched roof was part of the original scheme. Work or storage space built into the peak was accessible from stairs at the back of the building. Since the house was originally built, little change has been made to the structure. Indeed, according to its current owner, the house not only has most of its original shingles, but also retains its grey with white trim color scheme. An entirely new kitchen was installed in 1980. The space in the peak over the garage was converted into a grandmother's apartment and the garage below into a family room-now known as the "white room." A small two-story addition was built to link these spaces to the main house. Both the upstairs and downstairs now have direct internal access to the converted space via the original stairway of the house. Thus, apart from interior decor (which is very different from its original) and extensive restoration work to the original lath and plaster walls (which the owner prudently insisted on keeping), the original home is structurally and visually intact and looks much as it did when it was originally built. Since its beginning, this house has had six owners. Stephen Barringer, its 2002 owner remembers coming here to play as a young boy. His childhood home, the Teer House, across the way on Chelsea Circle is also on this tour. Much of the work changing the appearance of this property has taken place to its landscape. By building a beautiful retaining wall of North Carolina stone close to the road and backfilling with earth, Mr. Barringer has expanded the grounds surrounding the house by capturing land that once sloped down to the road. He also lined the road below with a wide verdure. Where there used to be an awkward rec- tangular parking area carved out of the berm at the street-level, the owner has created the elegant small circular drive that ingeniously makes use of the otherwise unusable land at the street corner.At the same time, gracious brick steps lead up the incline toward the entry of the house. On the west side of the house a new enlarged patio made of blue slate has been laid where once there had been concrete and an intimate little garden was created behind the house which Mr. Barringer's daughters call the "secret garden."